Minister of Economy and Trade Naftali Bennett spoke to CNN about United States President Barack Obama’s visit to Israel. Obama spent his final day in Israel Friday before traveling to Jordan. “What I saw was a great relationship between our two countries,” he said, adding that Obama “has been very warm” during his visit. 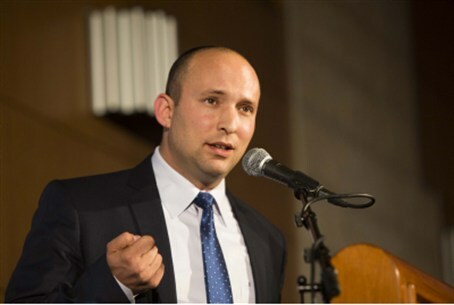 When asked about apparent differences between Israel and the U.S. administration regarding Iran’s nuclear program, Bennett came out in support of Netanyahu’s firmer approach. “The facts are that words in Washington or in Jerusalem don’t stop centrifuges in Natanz,” he said.